In times of economic crisis IT projects are the first to be cancelled or at least to be postponed by companies. But once the economy starts to recover again IT projects are the first to be picked up, because a lot of backlog has been created. Companies see the need to invest in innovation as well as in smart technical solutions again and put them on the high priority list. In other words: We are ahead of the curve. This said, you would expect that consulting rates rise with the same speed again. But looking at the past years we actually cannot determine that this is the case. Within the past two decades IT consulting rates dropped tremendously. It all started with economic crises but also the market changed in general. The profession of an IT Consultant is more common in these days. There are more of them as due to the extreme scarceness of these profiles in the past every conceivable consulting company had set up trainee programs. Furthermore not only senior professionals with a lot of experience take the decision to become an independent consultant, but today’s young generation is more open, risk taking and self-assured, so they take the step into self-employment more easily and naturally. Also the expertise of IT Consultants is a lot broader than 20 years ago where mainly ERP was the trending topic. Today a lot of young web and mobile developers, UX and UI designers as well as project managers in every area of expertise are working as independent consultants. But what is it about the rates? They are still heavily under pressure. Almost every day we have discussions about this topic. Consultants feel that rates need to go up again as there is a lot of work in the market and good, available consultants are getting scarce again. Clients however want to get the best consultants on their crucial projects, but budgets still seem to be very tight. Why is that? IT departments or business representatives still have the role of the hiring manager but when it comes to making the deal, consulting rates need to fit into standard rate cards or are negotiated to the bitter end. Furthermore we need to be aware that in these days there are only very few direct deals between the consultant and the hiring company left. Most corporate companies work with brokers – organizations that manage the external workforce centrally. They are mainly paid to streamline the inflow of candidate profiles and manage all contracts. However, brokers are often enough not the ones that are able to find and attract the right candidates in the market. So they need help of other third parties again – mostly IT staffing companies that can deliver the right profiles. These companies need to earn money for their services also, which means that in many of these cases a chain of three parties is created and all of them need to earn from the rate that is paid for the consultant in the end. That explains a lot! Anyway, having discussions about consultant rates almost every day makes us think about the bigger picture. Why are independent consultants with all their experience and track record paid less than less experienced consultants that are employed by consulting companies with big names? There are clients that negotiate endlessly about € 1.50 more or less per hour for a very senior consultant that would solve their business problem right away, but at the same time they are paying for a group of five consultants of a famous consulting company and invest double the rate for each consultant of that group. Admittedly, sometimes these companies are only hired for strategic projects or blueprint creation, but the proportion still doesn’t make a lot of sense. What we experience a lot is that companies purchase consulting services from the well-known consulting companies for a special purpose. Some of their IT projects are so crucial that they simply don’t dare to take a more pragmatic and less expensive approach. They feel that if they hire one of the big names they can be sure that they are not going to be blamed if the project fails for whatever reason. So hiring consulting companies with a famous name seems to be an insurance for success – at least if we don’t measure success with the ratio of money spent and outcome…. So what’s the learning? As an independent consultant you need to be smart with regards to your own rate policy. Be aware of the different streams in the market that have impact on the price in the end. Don’t be too cheap on yourself, but also don’t enter rate negotiations with an unrealistic high rate because you want to make it a question of principle. This doesn’t help a lot! Being able to do a realistic estimation on the market and on what the client is able and willing to pay is most crucial. So be flexible when it comes to your rates! Make them dependent on length of assignment, size of client organization, reputation for your own profile and the question whether you can further develop your own skills on the project or not. 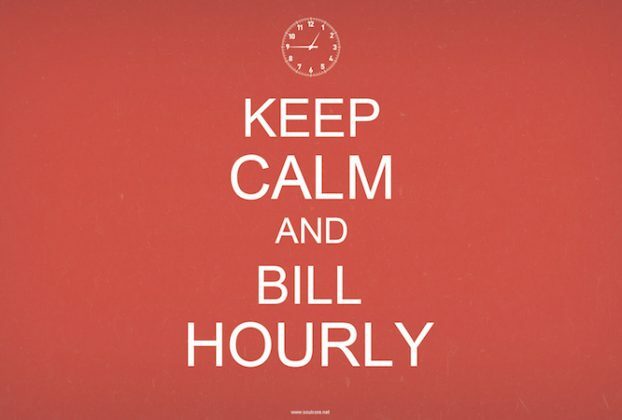 And last but not least: Keep billing hourly! Fixed price projects are only a good deal for the client! © 2019 Copyright EclectiC International Consulting.